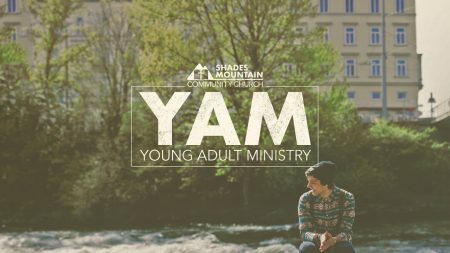 Whether you’re a college student or a twenty-something, SMCC’s Young Adult Ministry is the place for you. We exist to magnify God and spread a passion for His glory by making disciples and shepherding young adults to value Jesus Christ above all else. 1. We believe the love of God and people manifests itself in a deepening affinity for His Word, in which he has made Himself known. 2. With hearts warmed by a love of God and His scripture, we believe we should not only separate ourselves from counterfeit pleasures and teachings but also make every effort to discern the most excellent from the simply mediocre. 3. As we learn to distinguish things of most genuine value, we believe we should apply our understanding of the scripture to living sincere lives in holy community in preparation for Jesus Christ’s return. We believe all the fruits of righteousness in our lives are not of ourselves, but are a result of Christ’s work on the cross, and we will seek to duly praise Him as our Lord and Savior. 4. We proclaim the Good News of Jesus so that others can know true forgiveness and the joy of fellowship with the Father. We gather each Sunday evening, to worship through studying God’s Word, singing His praises, and serving one another. We also meet on Sunday mornings for Sunday school and church service. We would love for you to come and grow with us in the grace and knowledge of our Lord Jesus Christ. For more information regarding the YAMs, please email Matt McGrew.